Under construction. The Bedford, 2448 sq. 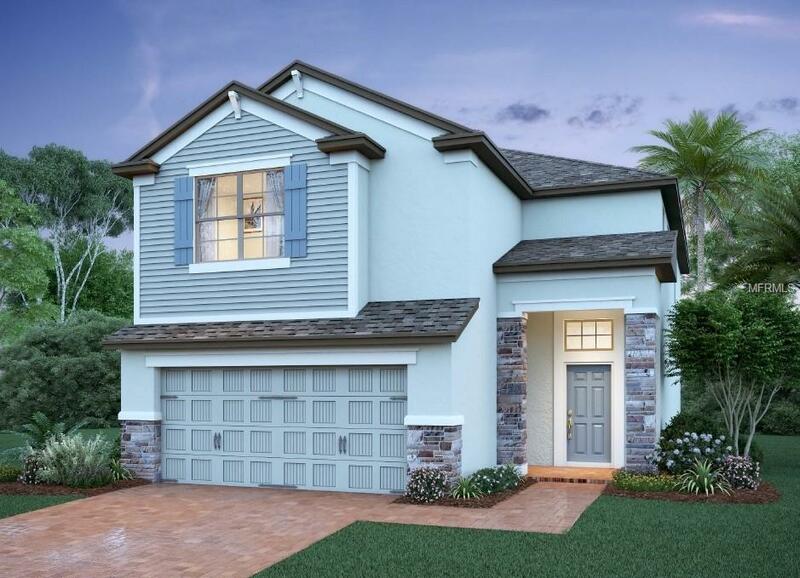 ft., 4 bedroom, 2.5 bath, 2 car garage, loft, with a covered lanai. The kitchen has 42 Tahoe espresso cabinets to complement the ashen white granite countertops and Stainless steel appliances. The main living areas are tiled with oversized 12 x 24 neutral tiles installed on a 1/3 offset. The stairs have been upgraded with espresso stained treads and white painted risers along with the espresso stained handrails and painted spindles. Dont miss out on this beautiful home. This home is 100% Energy Star 3.1 certified and built to M/I Homes Whole Home Standards that means quality construction, the home will be affordable to operate and you can save money on your energy bills. Some of the energy saving, Whole Home features include Core Fill insulation in the block walls, R-38 ceiling insulation, Low-E double pane windows & sliding glass doors, full perimeter rebar including the garage, 3,000 PSI concrete foundation and a raised heel truss system that allows insulation to go all of the way to the eaves. Pet Restrictions Please Reach Out To The Builder For More info. Listing provided courtesy of Keller Williams Advantage Rlty.